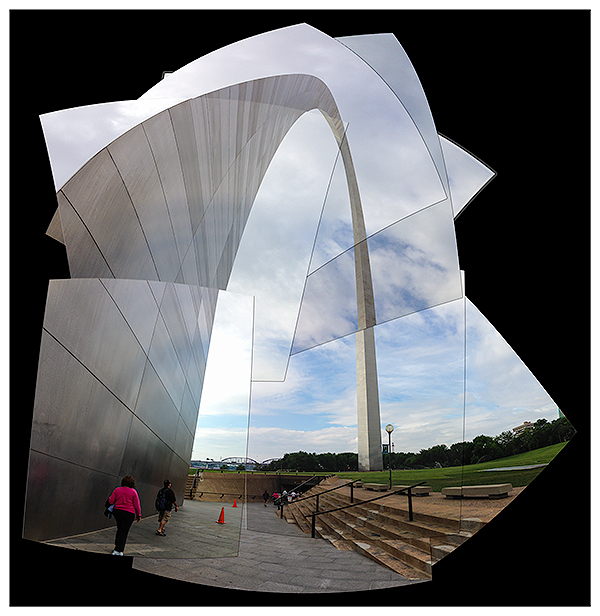 The last four days I've been in St. Louis attending the National Science Teachers Association STEM Forum & Expo as part of my day job. I had a crazy schedule and I wanted to do only carry-on luggage on the plane, so I left my big boy camera at home and only had my iPhone 5 with me. 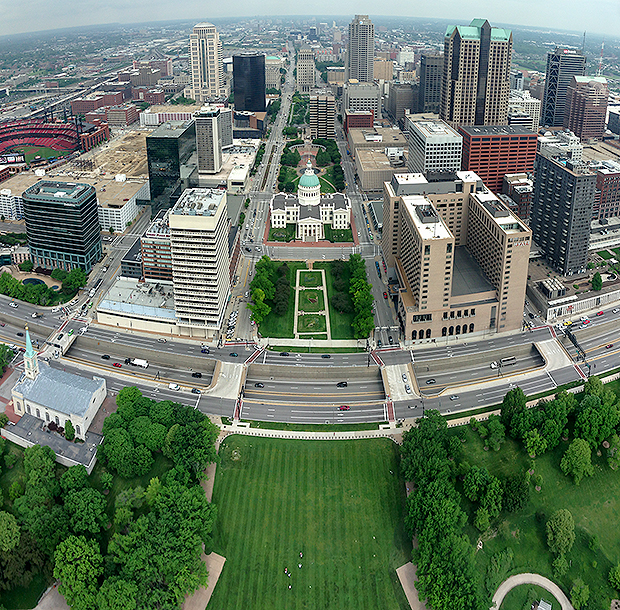 One morning my colleagues and I went out to visit the Gateway Arch while we were there and rode to the top. On our brief adventure, I decided to play around with seeing what sort and quality of images I could put together with the phone as my only camera. I wanted to share with you a few of the "successes". These were all photographed with the iPhone. The first two are panoramic stitches of multiple iPhone shots, the third is a single shot. The two panoramas are different styles. The first is a straightforward stitch and crop made from a series of nine iPhone images (3 across the top, 3 across the middle, 3 across the bottom). Because of the window I was able to access, I had to crop quite a bit from the right-hand side to get the courthouse centered. I do like the way angling the iPhone led to a fisheye-like effect. The second is a collage of images purposely shot from different angles and perspectives. 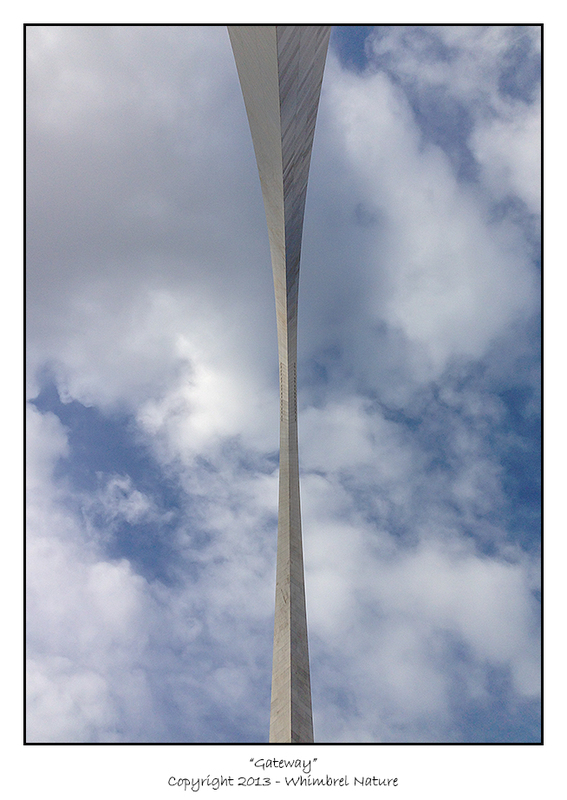 I aligned them in Photoshop CS6 and added a bevel and emboss effect to each layer. I had a lot of fun playing around with the iPhone and with the post-processing, but I don't think I'll be giving up my big boy camera anytime soon. More posts will be forthcoming this week! 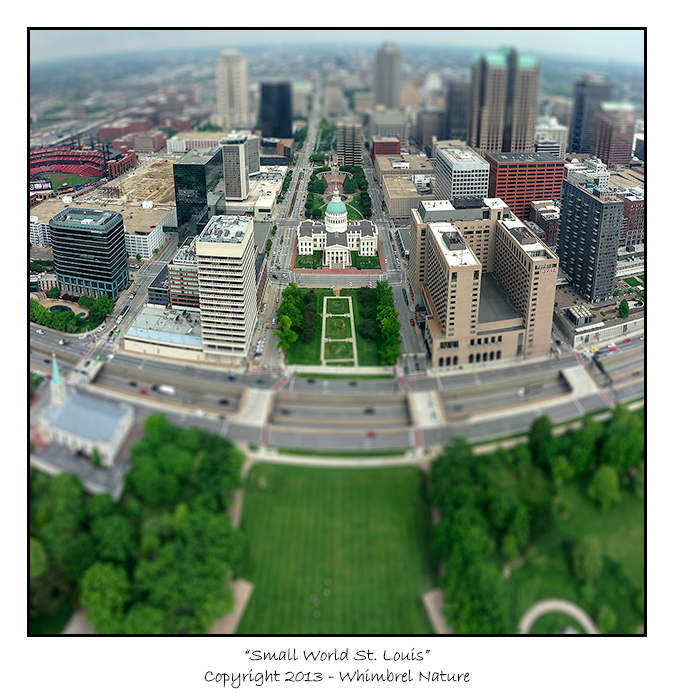 As an added bonus, here is the picture from the top, but with a tilt-shift miniaturization effect added in post.